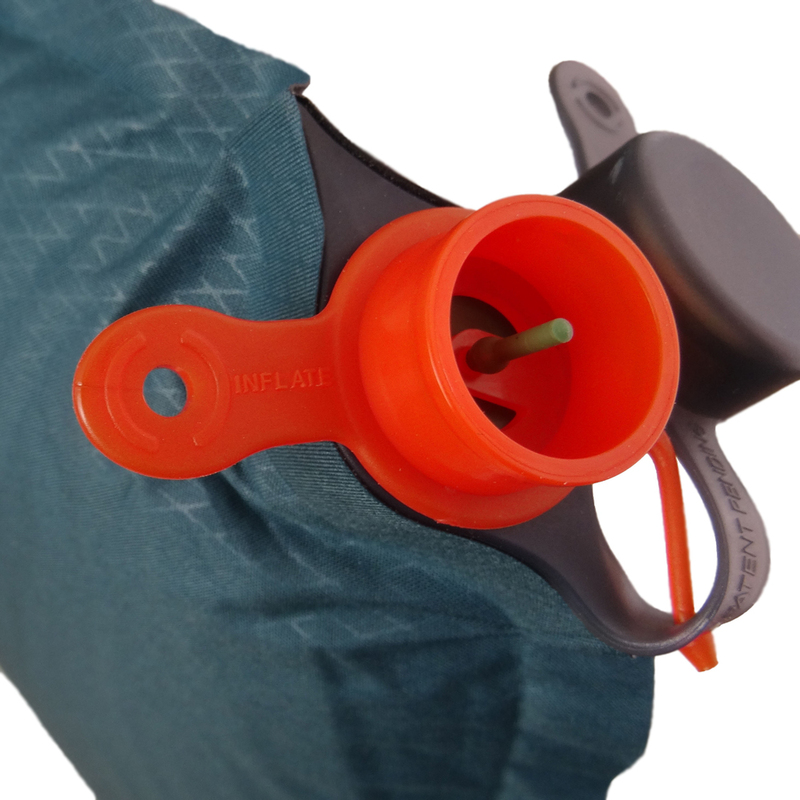 Any outdoor adventurer who places more emphasis on comfort than on the smallest possible pack size, will be well-served by the self-inflating sleeping pad Camp Bed 1. With a size of 198 x 66 x 10 centimetres it is almost as cosy as your own bed at home. As a full-foam mat it has very good insulating properties and offers outstanding sleeping comfort. Order your comfortable Camp Bed 1 in our Amazon shop. The self-inflating mattress Camp Bed 1 is primarily aimed at people who want a lot of sleeping comfort from their mat. If you are travelling by car, pack size and weight are not quite as important. You never have to compromise between comfort and weight. The lying area is generous at 198 x 66 CM and with a height of 10 CM and yet the self-inflating mat weighs only 2.68 kilos. The full-foam core means you feel very stable, almost like when you are in your own bed at home. It does not have the uncomfortable feeling of air mattresses, which leave people feeling afraid of the slightest movement. For our Camp Bed 1 only durable materials such as 75D polyester are used. By intertwining these 75D polyester threads, the fabric becomes very firm, although it has a pleasant feel. It is coated with a so-called TPU coating. This is similar to a coating with PVC, but has much better features. It is abrasion-resistant, tear-resistant, UV-resistant and much more environmentally friendly to produce. Avoid PVC-coated mats! As with all our mattresses, the base is absolutely non-slip and waterproof. The bag is made of durable 70D nylon. Full foam is used for our self-inflating sleeping pad Camp Bed 1. It has particularly high values ​​for heat insulation. The insulation capacity is given as an R-value. In simple terms, a higher R value means a better heating effect and lower heat loss in the sleeping bag. The R-value of the Camp Bed 1 is 5.2. This means you can use your sleeping pad even in the winter in the high alpine area as it functions down to about -17 degrees. These are averages. Personal sensitivity to cold may vary. The self-inflating mattress Camp Bed 1 is easy for inexperienced campers to use. Simply spread out the mat and open the valve. After about 10-20 minutes, the mat is inflated and ready for use. For a harder sleeping pad extra air can be added by mouth. Close the valve and that’s the job done. To pack away the mat, open the valve and roll up the mat from the base. Everything can be stowed in the bag. A description and care instructions are included. Maintaining the Camp Bed 1 is straightforward. To ensure long-term sleeping comfort, there are only a few points to note. It is best to store the mat rolled out and in a dry place. If your sleeping pad ever needs to be cleaned, inflate it and wash it with a cloth using water on its own or with a mild detergent and allow the air to dry it. 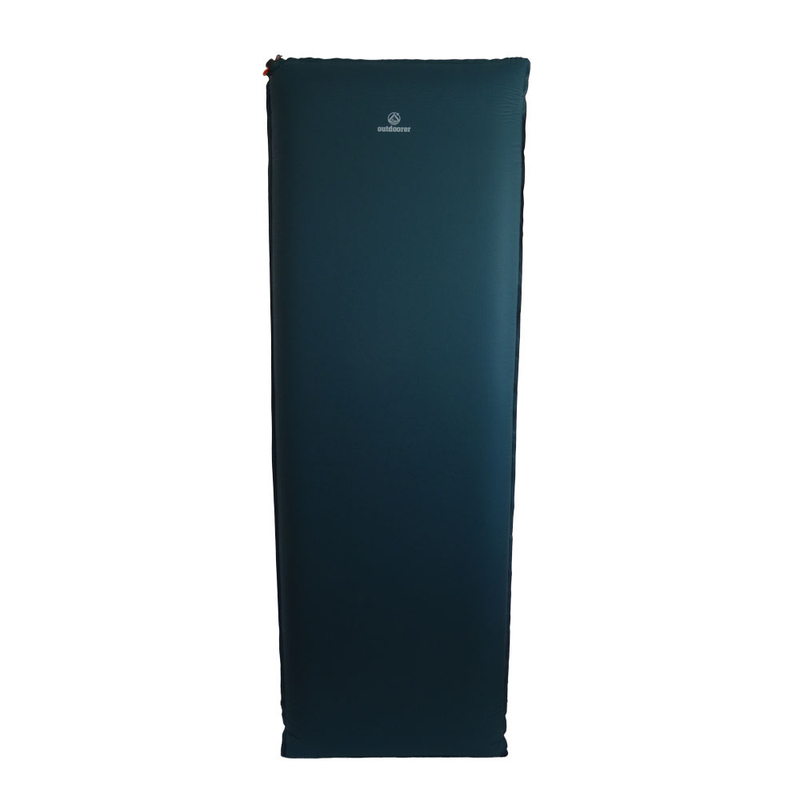 The high-quality material of your self-inflating sleeping pad Camp Bed 1 means it is very well protected against damage. However, should a crack or other damage occur and reduce your satisfaction with it, a repair kit is included. Where can you buy the Camp Bed 1? The Camp Bed 1 is available at Amazon.